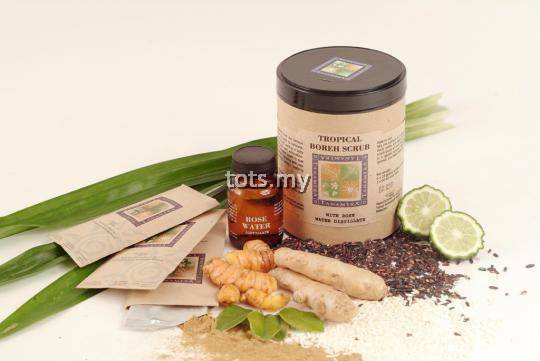 Combines exotic spices that warms skin, increase circulation and reduce muscle fatigue. 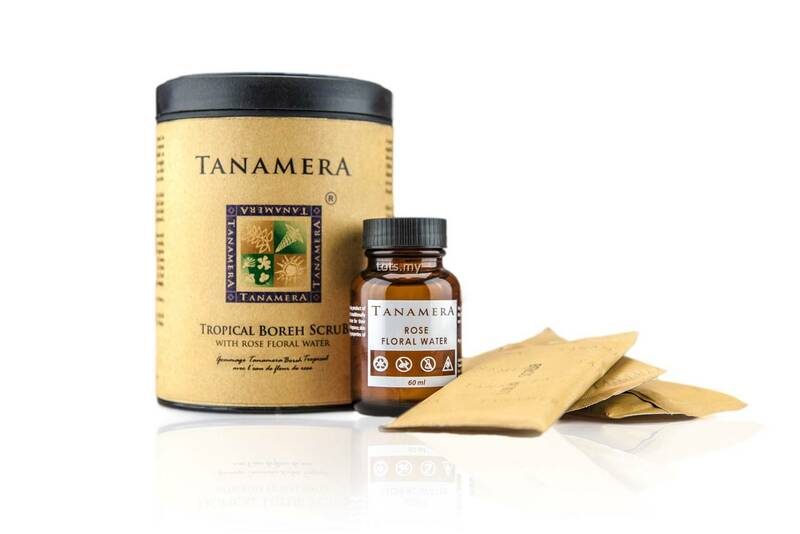 A natural heat therapy body scrub originally used by rice farmers in Bali. Contain what would be considered as “warming herbs” such as Clove, Ginger, Pulasari Wood, Nutmeg, Cinnamon, Pandan leaf, Kaffir Lime leaf, Lime. Herbs such as clove will helps to ward off chills, cold and muscular numbness while Ginger is good to relief arthritic joints, sore muscles and poor circulation. Mix 2 sachets of scrub powder with 10ml of Virgin Coconut oil. Than spritz Tanamera Floral water until you get a smooth paste. Apply a thin layer of scrub paste on body and wait for 5 minutes before scrubbing. Avoid from applying on nails. #Tip: If the scrub has dried in certain areas, wet your hands and continue scrubbing. Rinse well with water. Pat skin dry with towel and apply Tanamera body moisturizer.